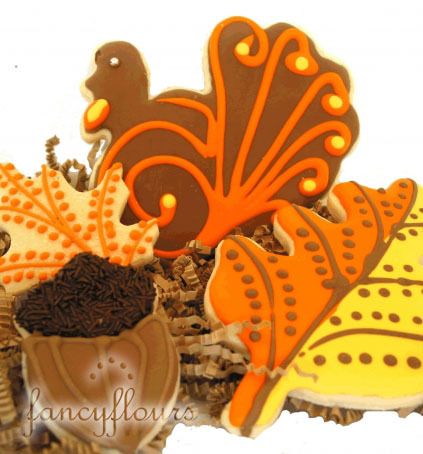 These beautiful Thanksgiving Cookies are perfect for your dessert table! They are made using our “No Fail Sugar Cookie” Recipe and decorated with royal icing and dragees. Try something new and decorate each cookie with a guests name, then display on your Thanksgiving table as place cards that double as a treat! This entry was posted in Autumn Baking Ideas by Fancy Flours. Bookmark the permalink.